I had been planning a Malta getaway forever, it finally happened this year in July. My go-to advice: visit during the winter and don’t forget your phone charger! Malta is a 316 sq km Instagram perfect archipelago in the Mediterranean Sea. It lies south of the island of Sicily, Italy, and has close ties with the United Kingdom, the French and, of course, Italy. It’s a must see for those who love beaches and clear blue waters, but also those who enjoy digging up history tidbits. But let’s start the trip at the airport. 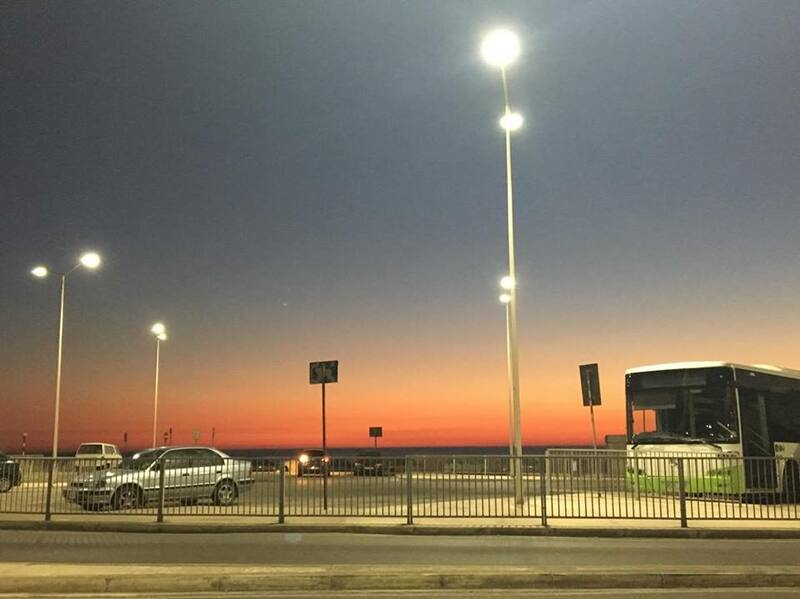 I landed in Malta on July 4th at 9 PM and was pleasantly surprised to find a very well-organized taxi pickup point. Malta by night as seen from the airplane. You just need to tell the cashier the region of your destination (and hand in the payment, of course) and a taxi driver will pick you up in a matter of minutes. 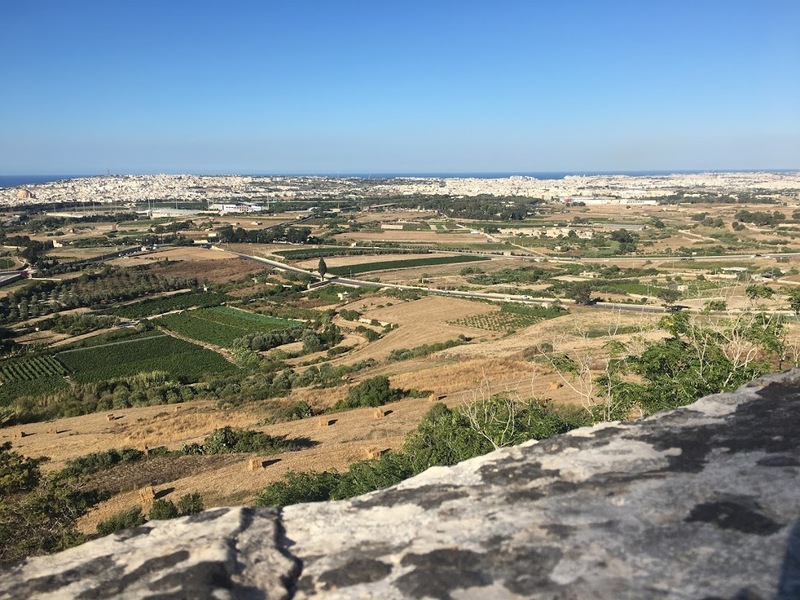 We stayed in Bugibba, a zone within St. Paul’s Bay in the Northern Region, very close to its current capital city, Valetta. The trip was 20 euro for 4 people, a reasonable price for the 30-minute long drive. During the following 3 days, we paid 2 euro/bus trip, but you can also get the 7 days pass and maybe even save a few euros. The bus is the most important means of transportation on the island, both locals and tourists use it, it is dependable and has good AC. More info on public transport here. And the next morning the heatwave hit. It hit me, not Malta, Malta felt it way ahead of me, with temperatures rising up to 35-36 degrees Celsius under the shade. But let’s set one thing straight: there is NO shade in Malta unless you are indoors. Locals we talked to were also concerned about it and kept recommending we visit either in Spring (April or May) or November-December. But we were already there so I needed to get over the hot temperatures and try to enjoy the islands. 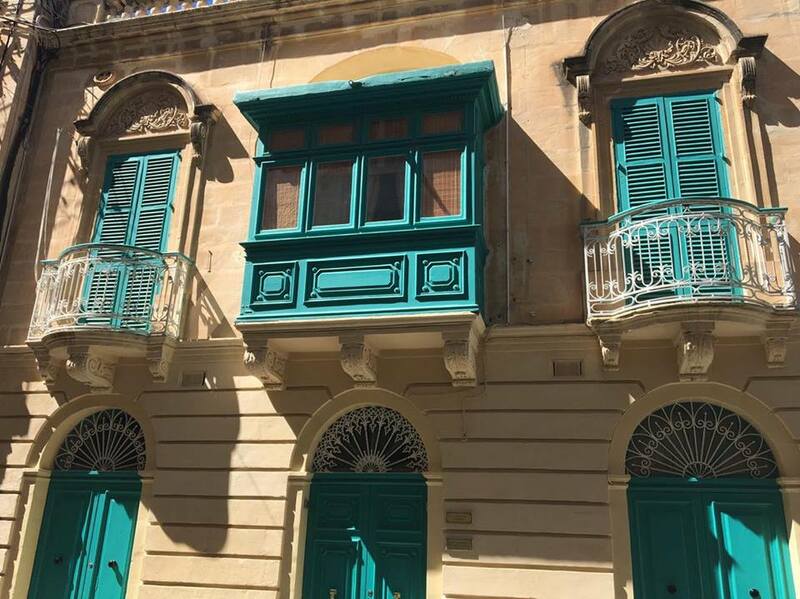 And I did enjoy Malta so I want to share with you some of the places that are worth your time and some that you might want to avoid. I enjoyed taking photos of small icons guarding house doors, blossoming trees full of vibrant colors you most probably would like to Instagram. 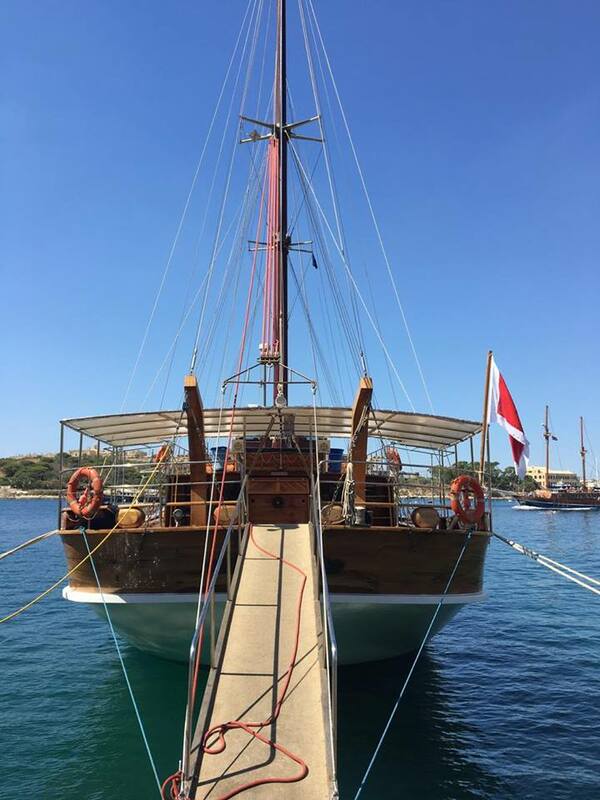 You can find boats like this in the port, next to the Gozo ferry. 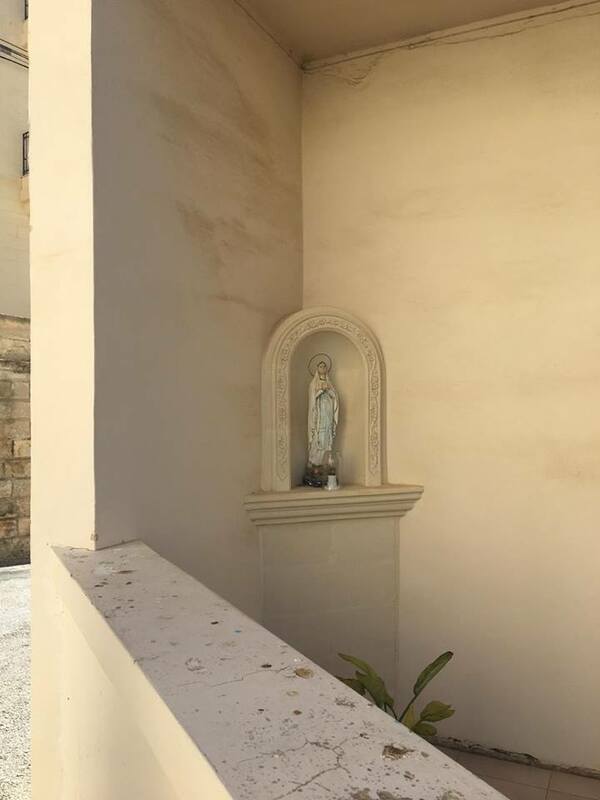 Icons guard houses entrances in Malta. 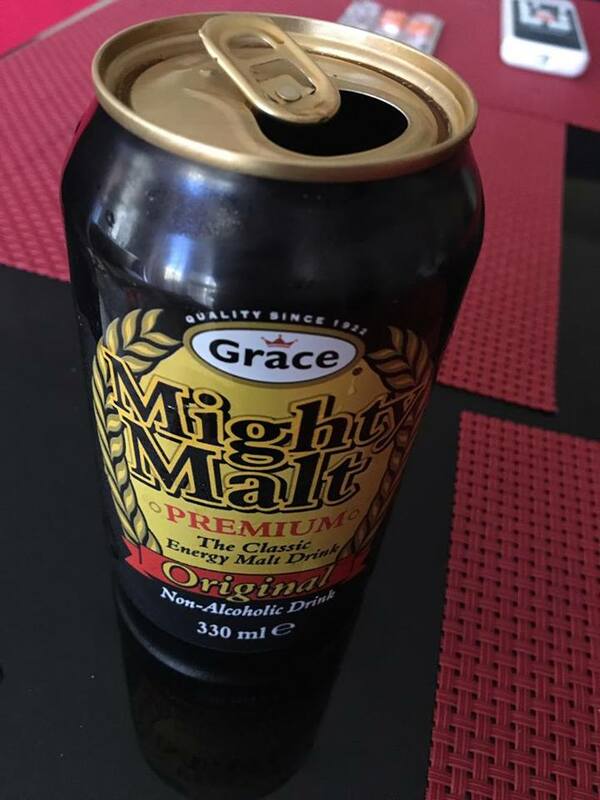 We ate local finger-licking good food and tried an energy drink made out of malt (way better taste than the sugar loaded versions). Try the rabbit, please! 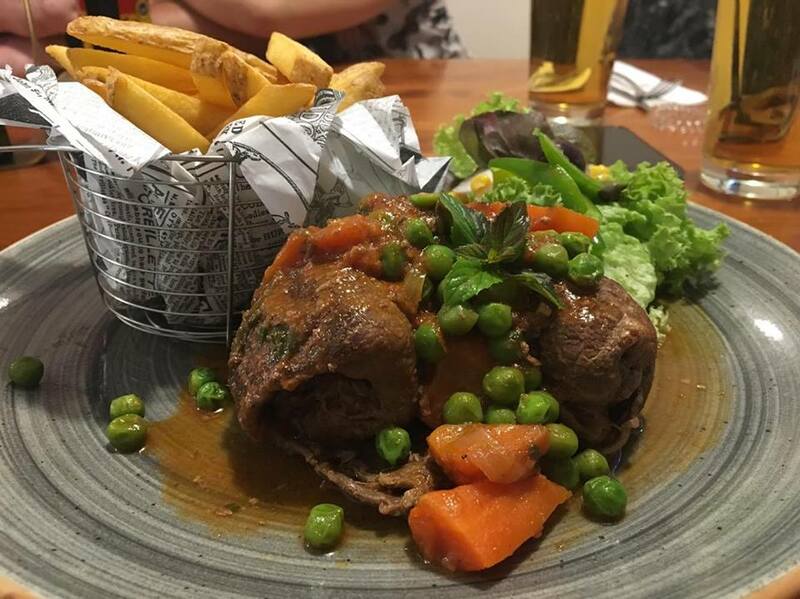 And the veal stew. And the ftira (local flat bread) and beware of the pastizzi at the local street food joint, Quick intro: before fast food, Maltese ate these as a consistent snack. We tried some made with chicken meat and cheese and, even if the meat was a little too raw for our taste, none of the four of us complained of hunger until late in the afternoon. Affordable, easy to find at every street corner, they could easily help you if you are on a budget. Maltese specialty now comes with fries. I won’t complain! provided an astonishing view of the Mediterranean Sea from its gardens, but it was quite busy, with hordes of tourists cramming in to get that one perfect shot. 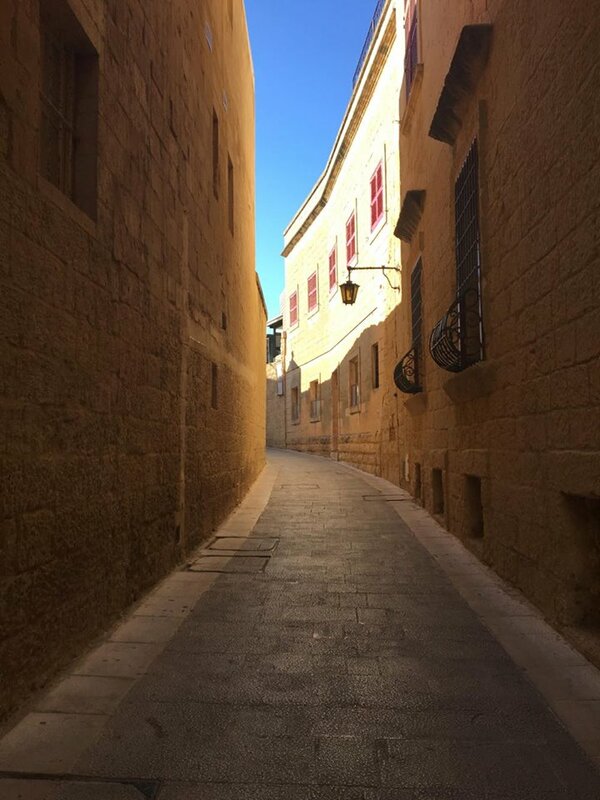 In comparison, Mdina, also known as Citta Vecchia or Citta Notabile, is a walk down memory lane. 4,000 years of history lay upon its cobbled streets, with local and artisan shops hidden in small shadowy rooms and hills to explore and roam through. And yes, I found one narrow street framed by the tall yellow buildings bathed in the warm sunset light to be the perfect wallpaper. Don’t you agree? Why can the Maltese speak so many languages? Because it’s in their DNA. While visiting their cathedrals I read on Maltese history and how their identity and ultimately their fate was determined by different nations/conquerors. The five islands were led in time by Phoenicians, Carthaginians, Greeks, Romans, Byzantines, Arabs, Normans, Sicilians, Spanish, Knights of St. John, French and British. Quite a mouthful, right? Well, imagine your grandma being able to speak English, Italian and a little bit of French without formal training as second languages. It’s possible as the owner of the Airbnb apartment we stayed in told us. And just think about it this way: they are so close to Sicily that they do their grocery shopping there (better prices). And they gained their independence from Great Britain quite late, in 1964! Our very amiable host said it best: we had to get along with them all. We just had to. We strolled around the sea cliff, rode a ferry and gazed at an amazing sun sinking into the sea. What a romantic view! Perfect for romantic getaways and long walks/talks. It seemed like we actually had more time on the clock and everything that seemed urgent at home was now cast away. The Mediterannean Sea was as blue as you could imagine. Ferry to Gozo is fast and cheap. Amazing sunsets are almost guaranteed on any side of the island. I discovered Caravaggio’s life story and his close ties with Malta Knights. He was one of them. Caravaggio, best known for the introduction of chiaroscuro and his influence on Baroque paintings, was not only an amazing painter but also quite a feisty knight and an eternal wanderer. He ended up in Malta after he was sentenced to death for killing another man in a duel. A brawl led to a death sentence for murder and forced him to flee to Naples and head to Malta in 1607. He painted here some of his major works including a huge Beheading of Saint John the Baptist (the only painting to which he put his signature). But only one year later he fled Malta imprisonment after yet another brawl in which he injured an aristocratic knight. Quite a temper, this Caravaggio! But his paintings are mesmerizing and manage to capture the psychology within the scenes he painted. And that is considered one of the founding fathers of the modern art as we know it. Full disclosure: I am not a fan of crowded spaces. So even if these two beaches are on almost all top 10 to see in Malta, I would recommend avoiding them. We wanted to check out the famous red sand beach in Malta as we had never seen red sand before. We were quite disappointed: not only was the beach a long trip from Bugibba, it was also very crowded at 4 PM when we reached our destination. And very few and expensive alternatives for drinks/ice-cream to freshen up. Yes, the infamous young and naked Brooke Shields movie was filmed here. Yes, the waters are as blue as you see them in the videos/photos. But the beach is just 3 meters wide. Unless you wake up at dawn and secure a spot very early, you will most probably end up lying on an uncomfortable rock with steep stairs to climb down towards the very salty water. A piece of advice: if you do decide to go, take your swimming slippers and goggles with you. Despite all of the above, I must admit that one view can make you forgive and forget all of Blue Lagoon’s shortcomings. Just check the photo below – no filter, I swear! Even if buses are the main way of transportation, check their schedule and plan your trips around the islands carefully to make sure you catch the last bus home. Almost everything is 30 minutes away. The country is so small (316 sq KM!) you can travel anywhere you like. Some people recommend leasing a car (approx 28 euro/day) to enjoy the freedom, but beware that they drive on the right and you’d need to adjust to that. Power outlets are British so do yourself a favor and bring an adapter. Bring swimming slippers and do not forget swimming goggles. Otherwise, the salt in the seawater will make it impossible to take a dip into the clear blue waters. Have you been to Malta? If yes, share some of the must-see spots I may have missed in the comments section. If no, please remember, visit in the winter. Otherwise, remember to wear sunscreen! as Baz Luhrmann might say.